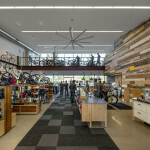 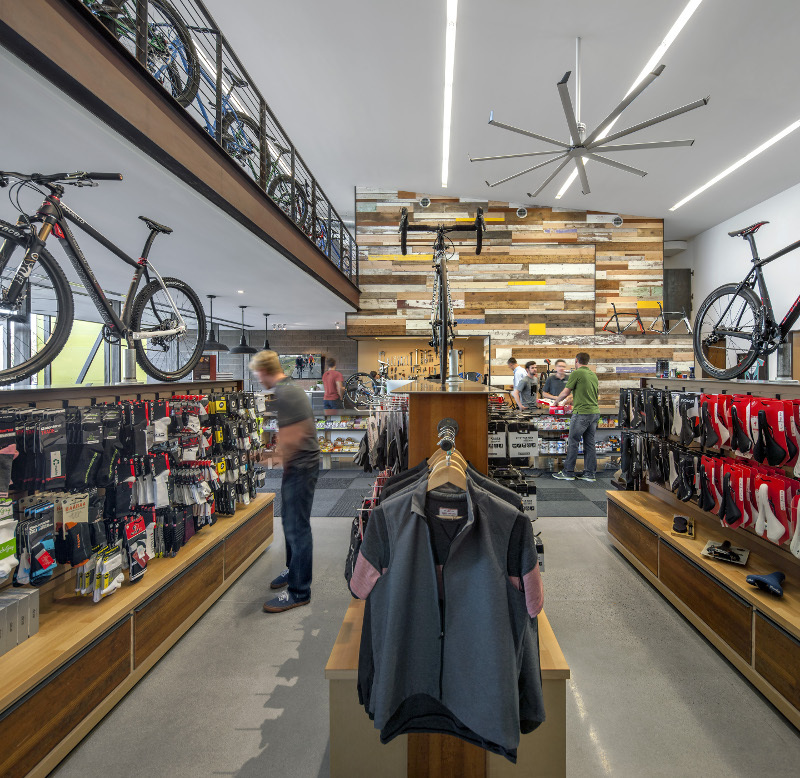 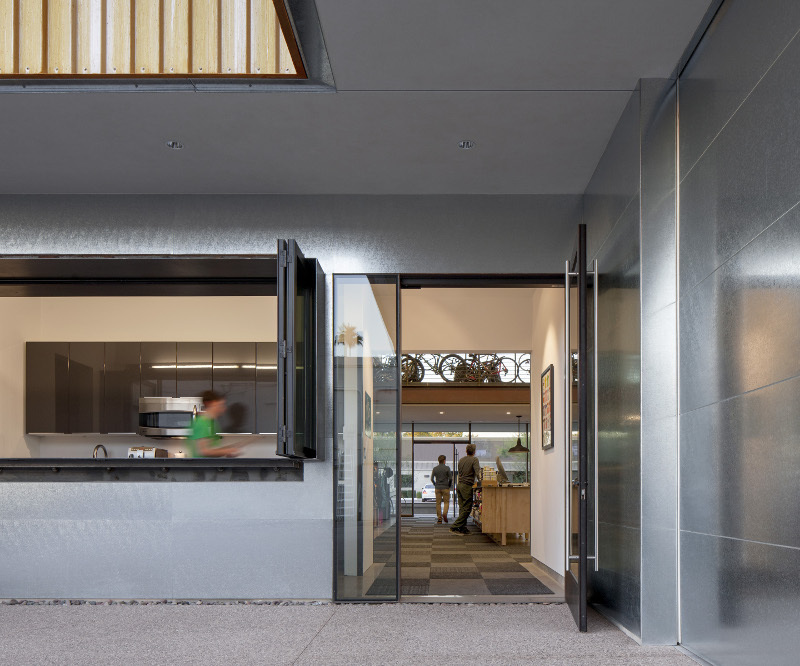 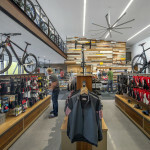 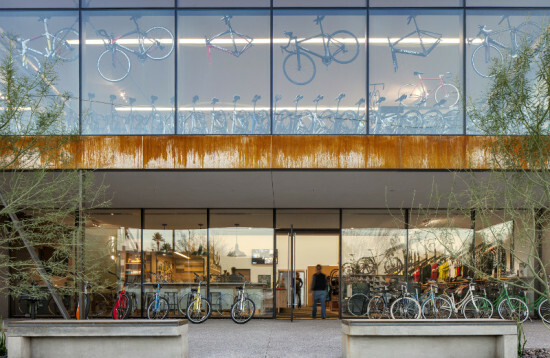 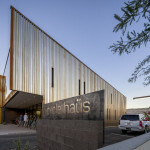 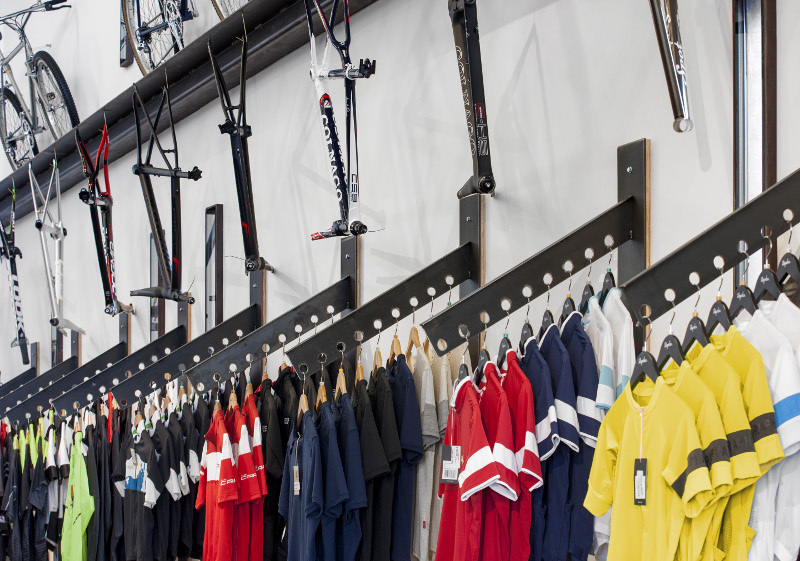 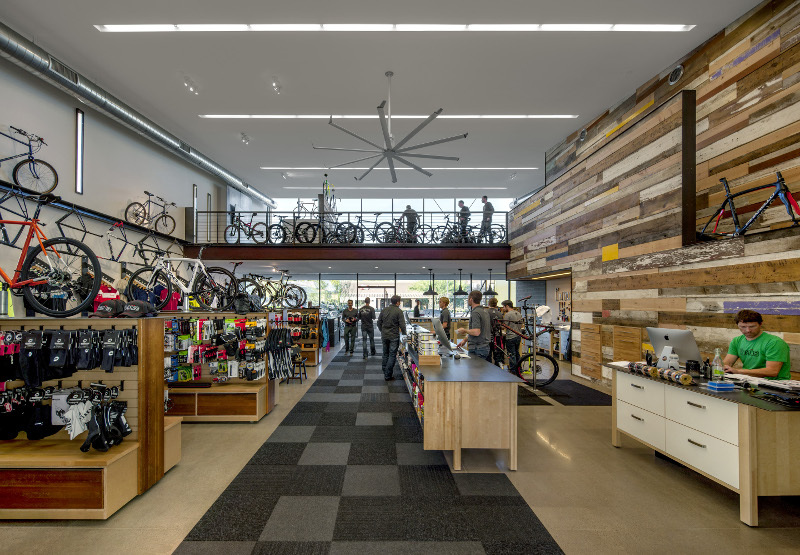 When debartolo architects principal Jack DeBartolo 3 AIA first visited the site of Bicycle Haüs in Scottsdale, he knew it was exactly what owners Shasta and Kale Keltz were looking for. 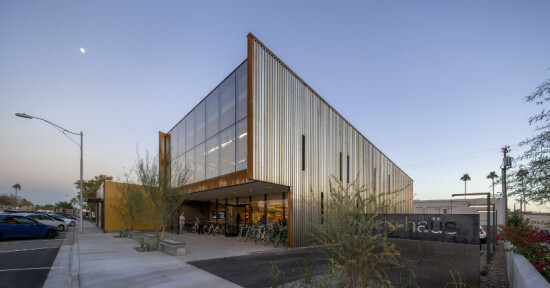 “In Arizona, with our very intense heat, we love it when we can unite two things: a northern orientation to maximize light without direct sun, and high visibility to the public way,” said DeBartolo. 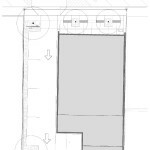 “When a parcel’s oriented like this, with its main side facing north, it allows us to do both things in one. 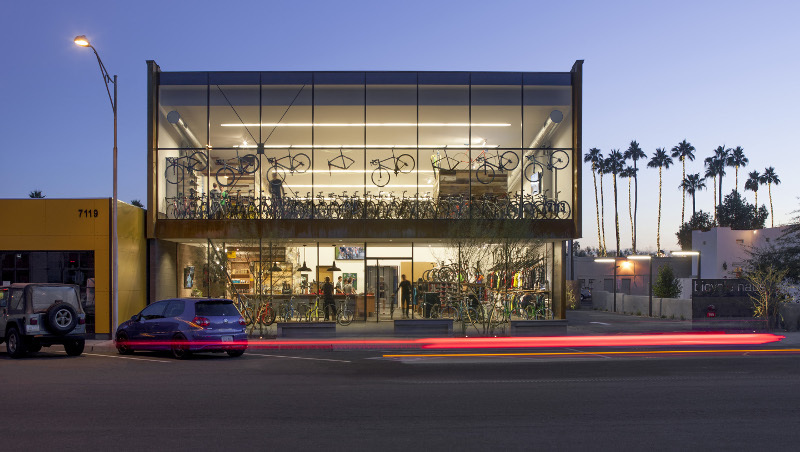 We can build a glass facade for light and to advertise the contents, and it can also be a view building.” DeBartolo’s firm designed a wedge-shaped structure with a broad structural glass facade facing the street. 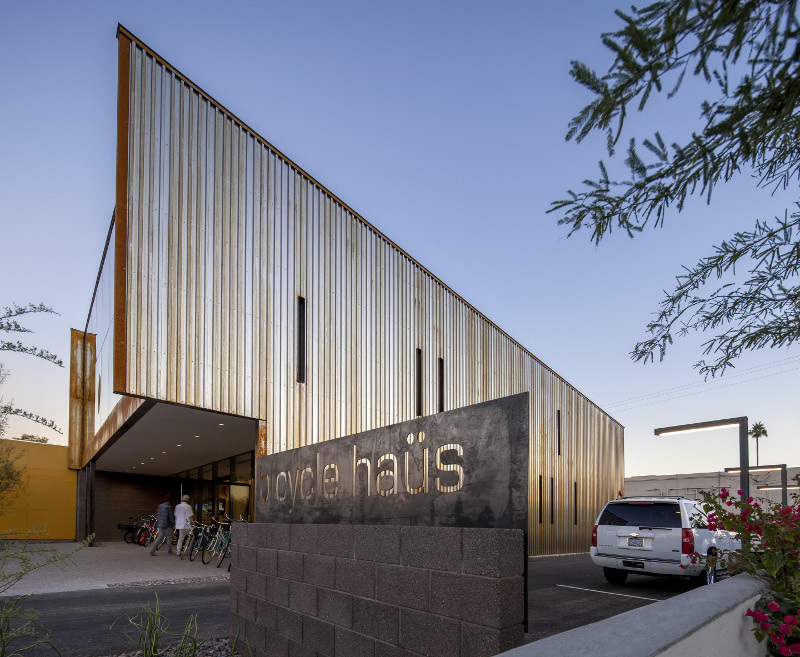 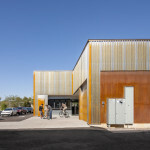 The remainder of the building is clad in weathering steel, a low-maintenance material that taps into the desert aesthetic of decay and renewal. 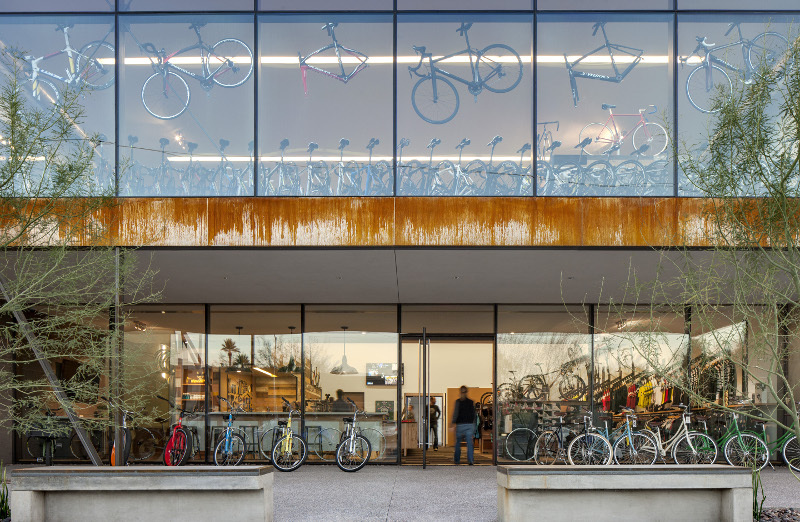 “The concept for the building was all about its orientation, and its place, and its environmental response,” explained DeBartolo. 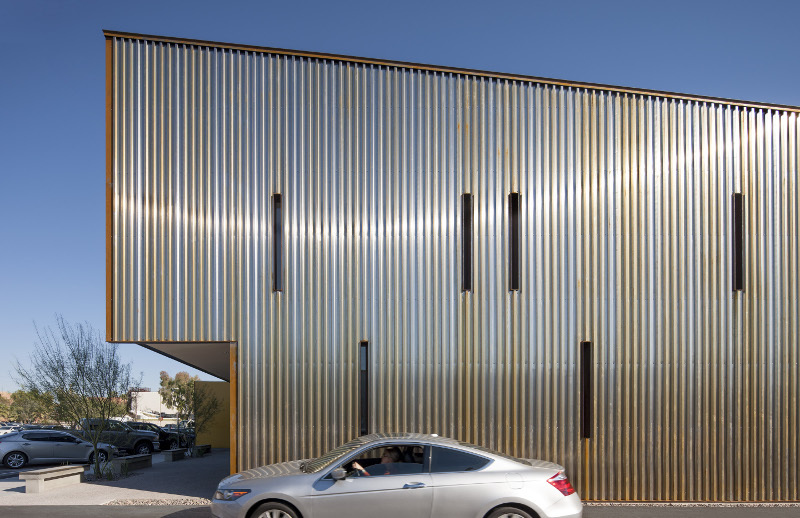 The architects chose a wedge form for the 5,000-square-foot showroom for several reasons. 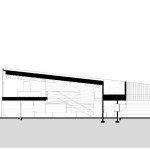 First, they wanted to maximize glazing on the north-facing facade. 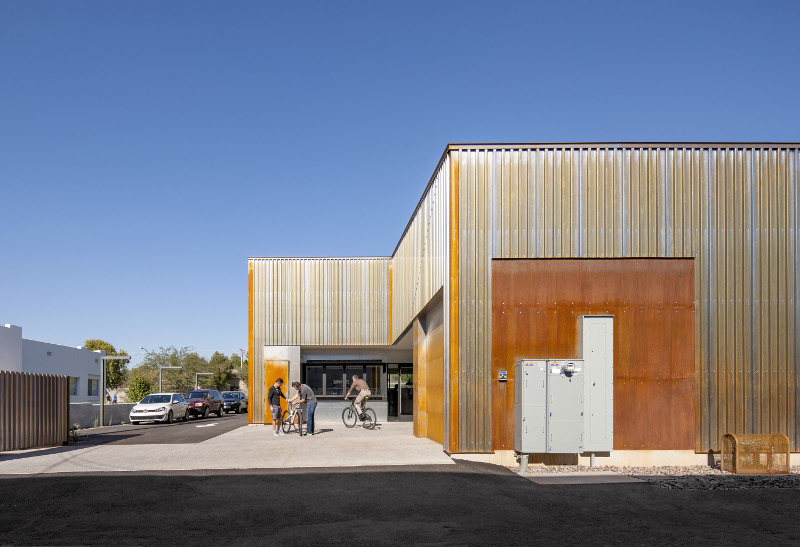 “With the shape of the building we collect that northern light and pull it deeply into the building,” said DeBartolo. 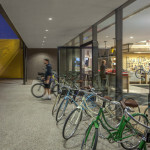 “In the desert, we get a lot of our intense sunlight bouncing off the ground. 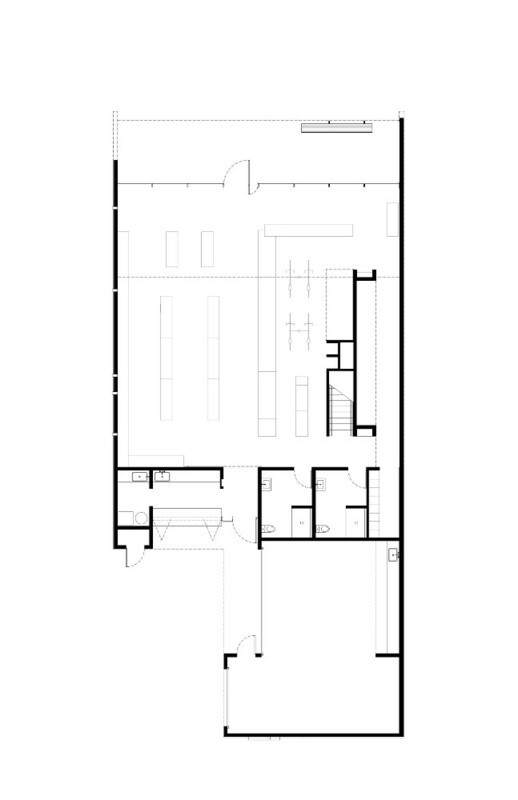 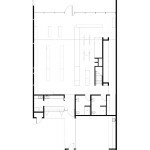 It also bounces off the ceiling inside the space, so often there’s almost no electric light needed in this room.” In addition, the building’s massing pushes its activity to the street rather than to the back of the lot. 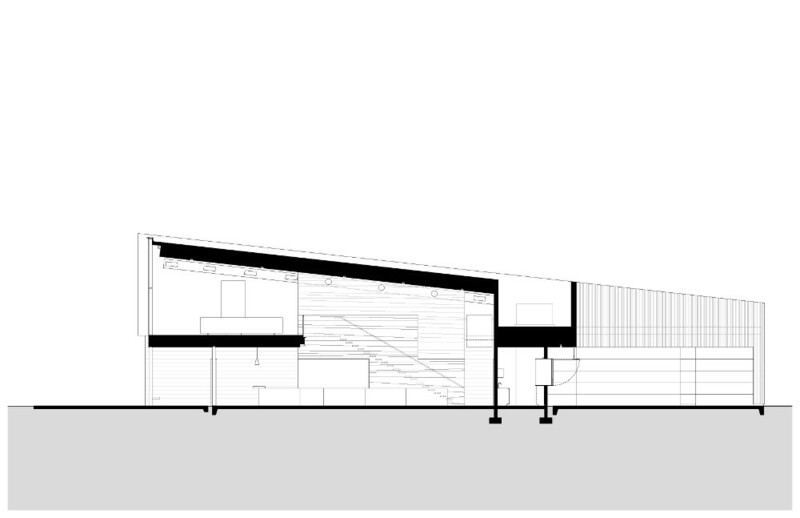 Finally, the architects designed the wedge form and a gently sloping roof to someday accommodate solar panels. 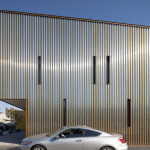 The designers incorporated custom slot windows into the metal facades. 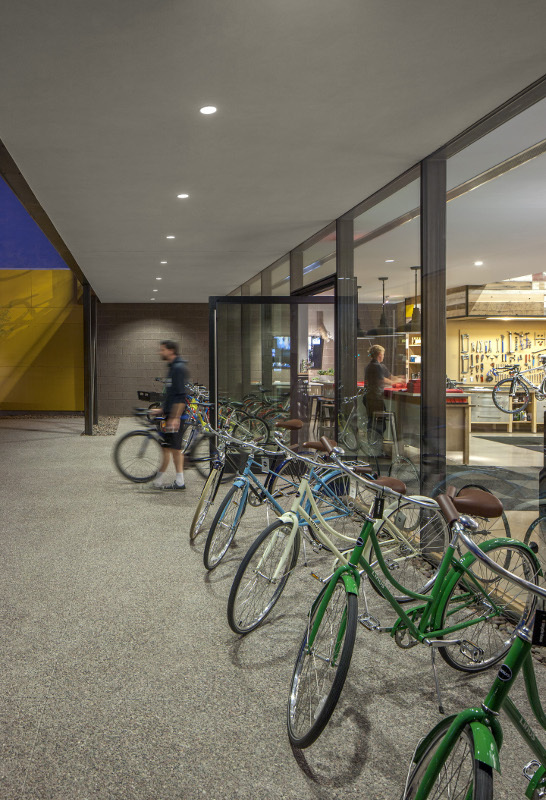 “They work really well with our strong western light,” said DeBartolo. 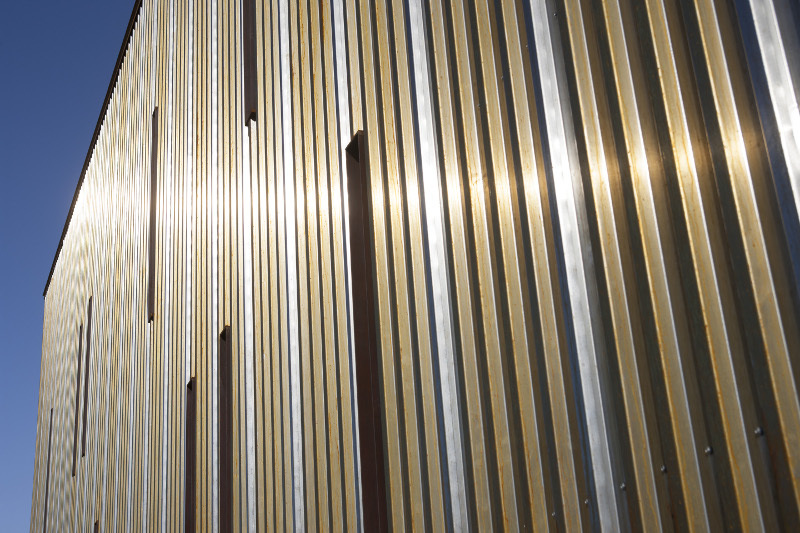 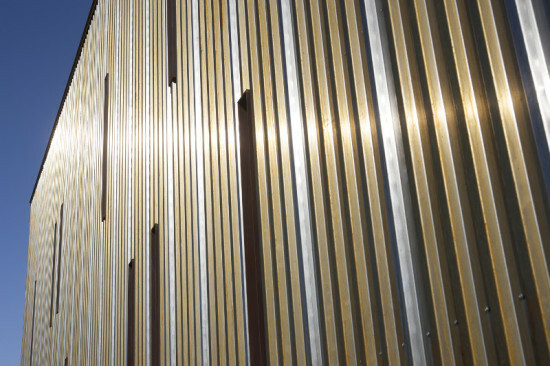 “We just get little strips of lights rather than a large mass that creates heat gain.” The windows are arranged so that they hit the corrugation pattern at the same place every time. 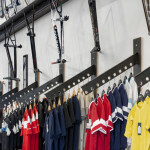 They are also integrated with the interior displays, moving up and down to make way for racks of merchandize. 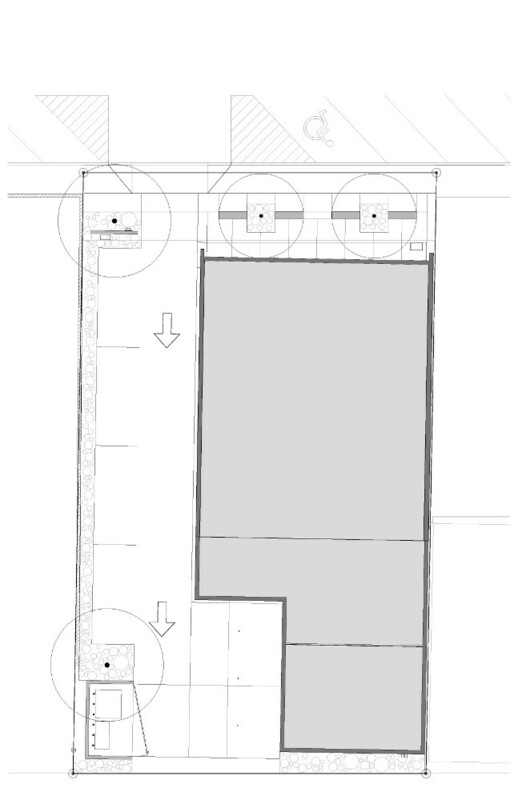 “It was very thought through, very methodical, though it created something that almost looks random,” said DeBartolo.